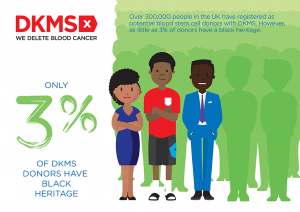 “As part of Black History Month 2018, Baker McKenzie and DKMS will be partnering up to host a donor recruitment event on 16th October 2018 between the hours of 11am to 2pm. 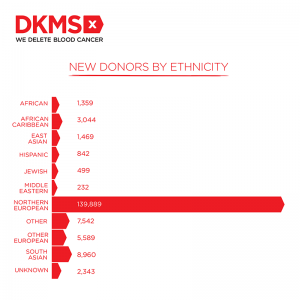 For many blood cancer patients a blood stem cell donation is their only chance of survival, but only half of the people diagnosed in the UK find a matching donor. Pre-booked time slots are available by emailing: michelle.venson@bakermckenzie.com. We would be delighted to invite you to participate:  If you are in general good health, between the ages of 17-55 you can become a potential blood stem cell donor.  If you decide to register, it will only take 10 minutes of your time to check you are eligible, complete a consent form and give a quick cheek swab sample.